We use professional recording studios in Los Angeles and London, several video editing suites, a sound stage and a talent pool of 1200+ foreign voices covering more than 80+ languages. We indeed offer full service Audio and Video Translation and Production capacity for foreign language voice-overs. Check Out Our Audio Services Language Listing opens in a new window. Perhaps the most important element of any foreign language voice over project is the consistency of the quality and crispness of the voice recording across varying languages. We equip our voice recording studios with Pro Tools systems and complement them by a large number of plug-ins and state-of-the-art hardware. This gives the sound you should expect from a professional recording studio in any language! Sound engineers and editors utilize only the best equipment and editing software to ensure the overall success of your production. Our sound engineers and Video Translators are experienced professionals who work closely with project managers to determine the aims of your foreign language voice over project. We hence engineer our processes specifically for optimal voice recording. Over the past few years, we’ve seen a dramatic increase in the amount of video content being produced by corporations. This expensive medium was once used mainly for marketing purposes, but it has now spread to internal training, online customer testimonials, and many other uses. We produce this new content efficiently and without the frills and expenses of traditional video production. By leveraging professional studios that include sound stage/green screen, and the huge Los Angeles and London talent pools (both in English and foreign languages), we provide extremely cost effective solutions for indoor shooting of anything from talking heads to corporate meetings. Get the look and sound of an expensive and highly professional video without the high cost and long process. 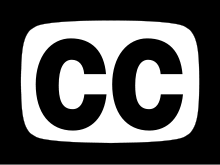 We can provide Multi-Language subtitling & closed captioning services for a range of content. Placement anywhere on screen is possible, including multiple location texts (requiring multiple renders) to keep the subtitles clear of on-screen action. Multimedia Captioning: We can create from the ground up or take already created videos and add multi-media captions to highlight activities on screen, for learning and tutorial purposes. “Going on our sixth year of working with GlobalVision, we can say with certainty, that they are one of the best decisions we’ve made in our suppliers’ selection. As a matter of fact, we consider them a valued audiovisual and localization partner. Without hesitation, we highly recommend GlobalVision to handle all your audio, video, multimedia and eLearning localization needs.” Risk and Strategic Management, Corp. Learn more about Audio / Video Translation….